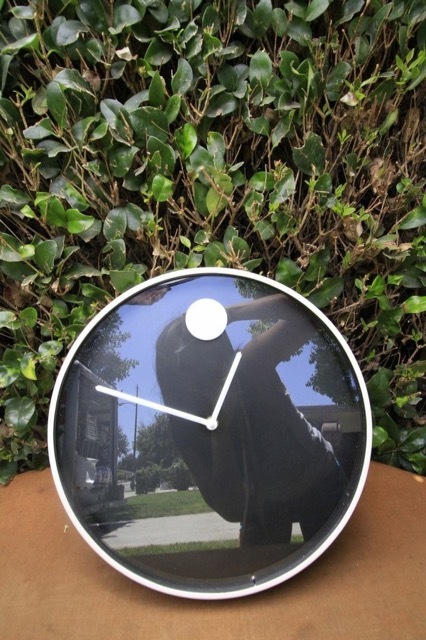 Photo of the Movado Museum Clock, taken by my cousin Ali Butterfass Zagat, reflected in it My great Uncle Nat Horwitt, creator of this design for the Movado watch, was the most colorful, witty, and adored member of the family. When he visited New York from his home in the Berkshires, it was always a great treat just to spend a few minutes with him when he would drop in to see my grandmother (his older sister). But when I grew up, Uncle Nat would take me to lunch at the Algonguin Hotel, where he always chose to stay. 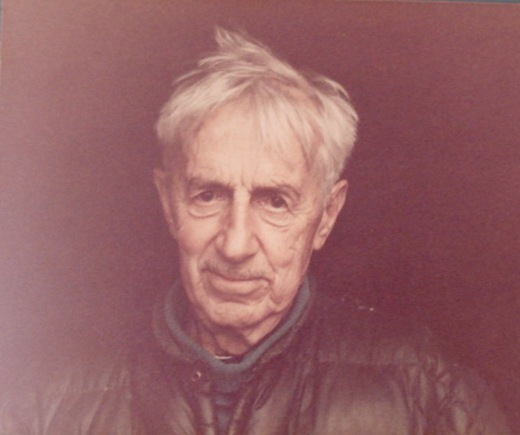 Nathan George Horwitt, a self-portrait I wouldn't have dared ever to try to match wits with him but on one visit, when he called to invite me, he began the conversation by asking "Is this my niece flower?" Without thinking, I responded with: "Is this my uncle Nut." Silence followed. Clearly he was not amused. The most memorable lunch at the Algonquin was when he told me the story of the Round Table, known as Table Number 6. Wikipedia describes the Algonquin Round Table as a celebrated group of New York City writers, critics, actors and wits. Gathering initially as part of a practical joke, members of "The Vicious Circle", as they dubbed themselves, met for lunch each day at the Algonquin Hotel from 1919 until roughly 1929. At these luncheons they engaged in wisecracks, wordplay and witticisms that, through the newspaper columns of Round Table members, were disseminated across the country. The story Uncle Nat recounted was when one of the members in the group decided to stump another of the members--Dorothy Parker--by giving her a word he thought to be impossible to shape into a clever saying. The word was horticulture and apparently didn't faze Dorothy Parker for an instant. Out she came with "You can lead a whore to culture but you can't make her think," (inspired by the saying "You can lead a horse to water but you can't make it drink.") 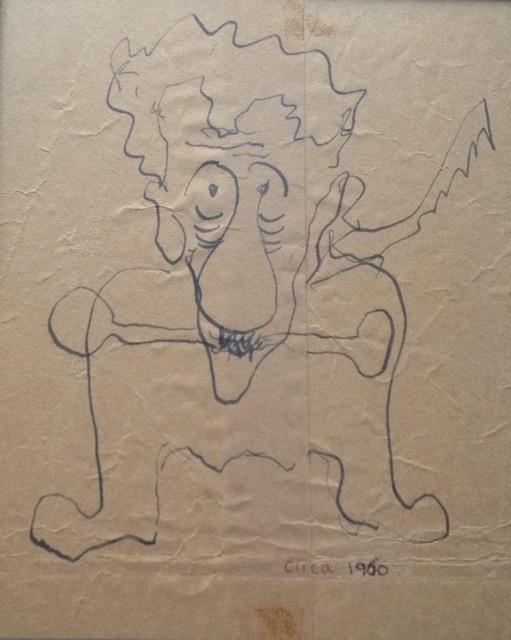 On another occasion, Uncle Nat asked the wait person to bring a brown paper bag and pencil and drew this caricature of himself which years later I found and framed. Nathan George Horwitt, a self-caricature I recently told the story of Uncle Nat and the Round Table to my cousin Bill Howe who told me that the famed Table Number Six now resides at the Kemble Inn, in Lenox, Massachusetts. Uncle Nat would have been so pleased--this was where he lived. But he now resides in a charming country cemetery, surrounded by other Berkshire greats such as his friend Robert Frost. His tomb stone, given by cousin Bill, is a beautiful rendition of his timeless museum watch.